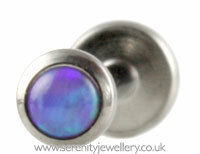 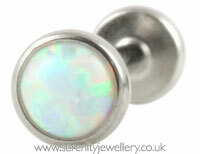 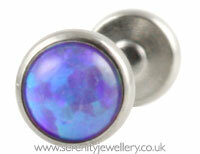 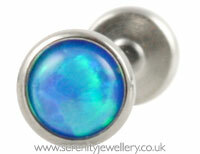 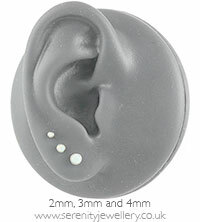 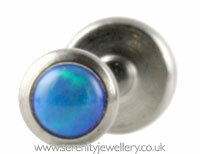 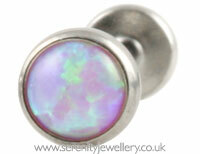 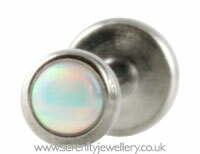 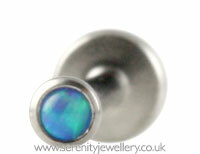 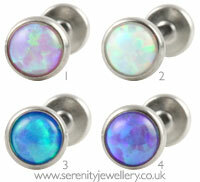 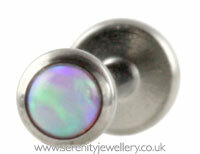 Invictus Body Jewelry hypoallergenic titanium threadless synthetic opal labrets in 1mm/18 gauge with 2.5mm disks/bases. 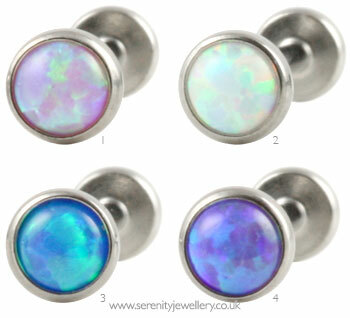 These labrets are threadless/push-fit so there's no risk of exposed threads catching or tearing the inside of your piercing. 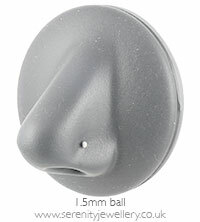 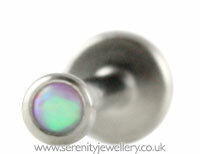 This is particularly good for new or irritated piercings. 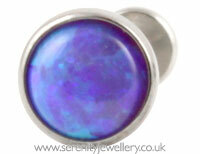 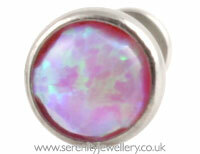 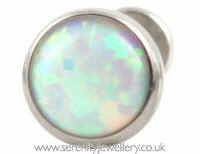 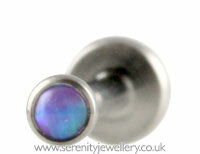 1mm/18 gauge labrets are good if your piercings have shrunk or were originally pierced with a smaller size. 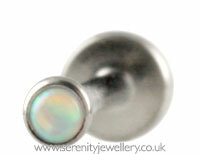 Labrets are not adjustable so you need to choose the length of the post.